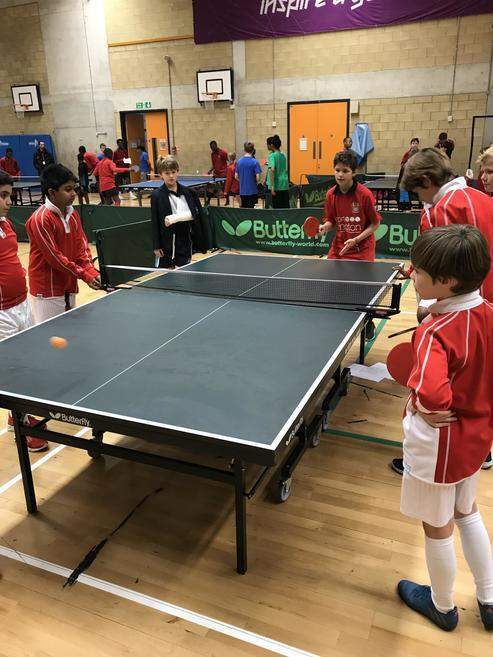 Islington competed at the second Tri Borough Table Tennis Competition. The inaugural was on 1st May 2018, with the hotly contested boys trophy being won by Scott Ching from St Aloysius. The latest was on the 27th November 2018. Both tournaments were hosted by Ms March at The Petchey Academy in Dalston and 139 students attended last week without Camden. The girls and boys trophies stayed at Petchey as Billy and Rendi triumphed. Islington brought a strong team from St Aloysius, North Bridge House, Holloway and the KS3 Islington Champions from Central Foundation Boys School. There are still teething issues with the competition and Islington have offered to host a format with more structure in May 2019 as it appears the current tournament favours mass participation. Hopefully Camden will be able to compete at the next one and make it another special evening for the potential London Youth Games participants. Islington’s best individual performer was Year 8 Karan from NBH who won the 3rd place prize. 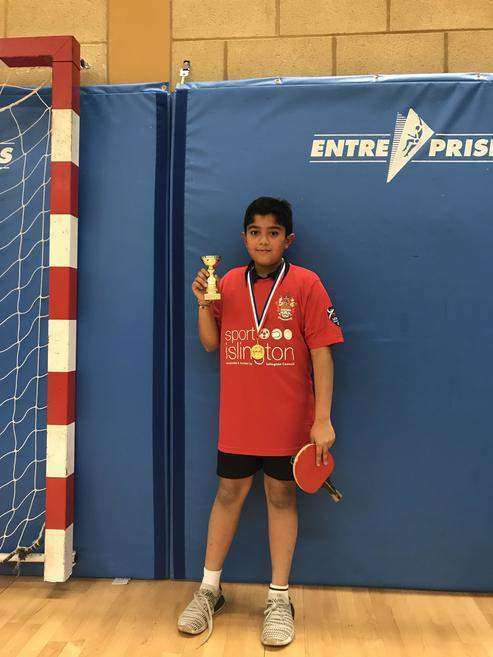 Considering Karan was competing against some talented Year 10s we are excited to see how he develops before the London Youth Games in June 2019. If you would like to play table tennis locally browse by activities at our centres and if you are interested in joining a club follow the link.